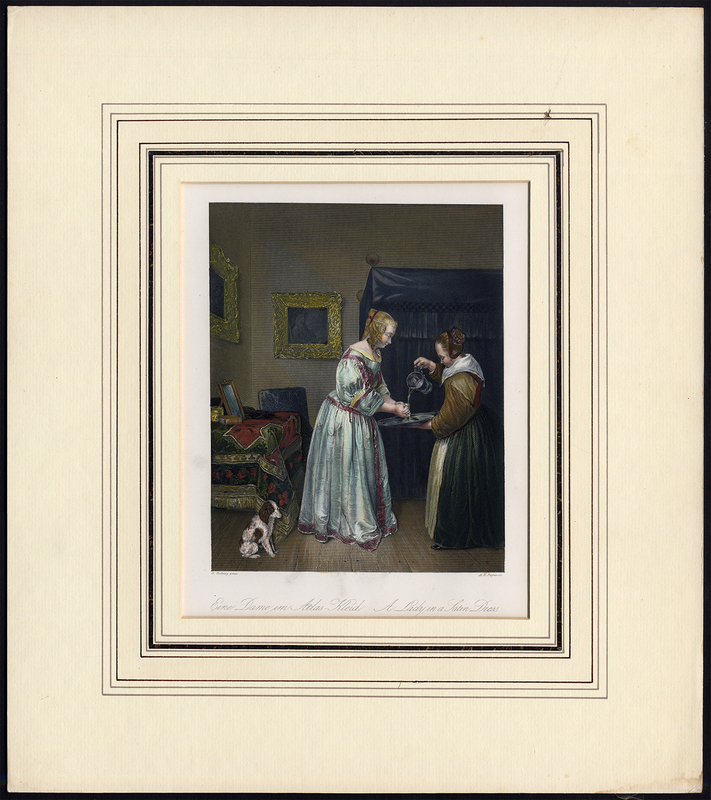 Subject: Antique print, titled: 'Eine Dame im Atlas-Kleid'. It shows: ('A Lady in a Satin Dress'), a lady is washing her hands with the water her servant pours from a jug onto a plate. Description: Exact source unknown, published ca. 1850 (estimate). Artists and Engravers: Engraved by A.H. Payne after G. Terburg. Albert Henry Payne (London 1812 - Leipzig 1902) was a steel engraver, painter and illustrator. Although he was English, he lived in Leipzig from 1839.